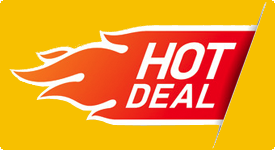 the joint homepage of ski rental in Val Gardena. The joint homepage of ski rental Selva Val Gardena Intersport Rent Selva , ski rental S. Cristina Intersport Rent , and ski rental in Ortisei Everestski , Alpine Rental and Sport Gardena. Please, find here all information related to hiring ski and snowbard equipment, access to the latest models, and professional advise on the best fit of skis. 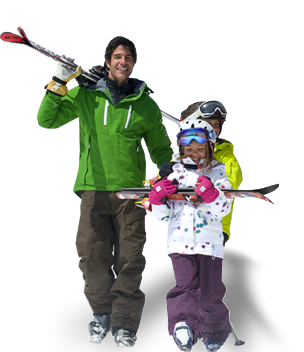 Our ski rentals represent with their wide array of services an ideal one stop shop for all of your needs. Our services include: ski hire, ski equipment deposit, sportswear shop, and ski school information point. Furthermore, it would be our pleasure to provide you with all useful information related to the resort, and current events! These ski & board rentals are decorated with the “Rent & Service Quality” label and are particularly recommended. This label is a guarantee for experience, excellent quality and kindliness. Book online your skis and snowboards. Our ski rentals in Val Gardena offer an online shop, where you can book your skis, snowboards and boots for adults and children directly. You save money and time! With years of experience we will rent the proper skis. 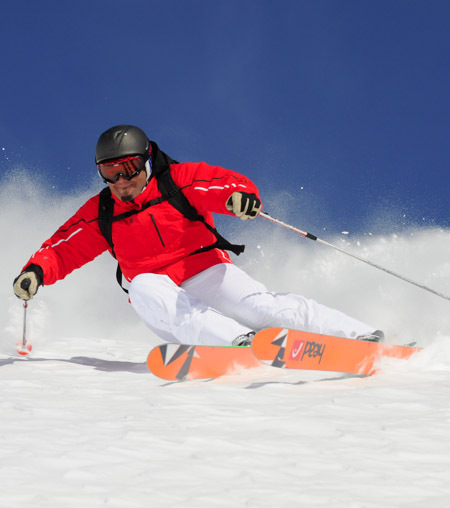 Whether beginner or racer or allrounder: with our equipment you will experience fun and joy in skiing! Here you will find a selection of quality rentals in Val Gardena. You’ll find everything is need for a fun-filled winter holidays: ski, snowboard, ski, sledding, snowshoeing, cross country skiing, ski touring, powder and all-mountain skis. You also have the option to buy the skis and ski boots after test. The “Try & Buy” option gives you the assurance of a safe shopping! Skiing and winter vacation in Val Gardena South Tyrol – Dolomites. Simply order online and enjoy all the benefits of on-site. Why our ski rental shops? A modern, frontside ski with precise edge control, high-speed stability and nimble handling. The Salomon X-Race: the new progressive ski shape allows the matching skis to choose depending on the desired speed and swing radius.